When we think of business, we can’t help but associate it with money, power and influence. But for some, having a business is an opportunity to help the poor and transform the lives of people in impoverished communities. This is exactly what Reese Fernandez-Ruiz, President and Founding Partner of Rags2Riches, achieved in her social enterprise. Raised by a missionary mother, Reese was exposed to poverty at a young age. Having this valuable experience pushed her to venture into social entrepreneurship after finishing college at the Ateneo de Manila University. “Sometimes, we just forget that we’re all in one world and we’re all related somehow. But that if we work towards providing better opportunities for other people, it would ultimately make our environment, our world, and future, a better place,” Reese told MONEYSENSE. Founded in 2007, Rags2 Riches started with an initial capital of P10,000 with the aim to provide stable livelihood to artisans all around the country particularly in Payatas. 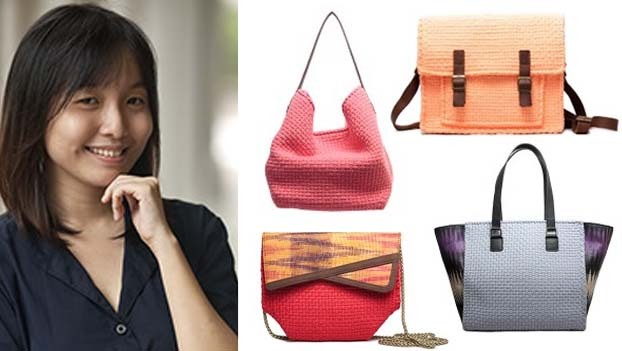 The business, which primarily operates in Metro Manila and sells eco-ethical fashion and home accessories, works by paying members of the community the labor cost for the products they create. Whether Rags2 Riches products are sold or not, the artisans get paid. Furthermore, Rags2 Riches gets indigenous materials such as abaca, tinalak and jute from different local communities in the country. Using indigenous textile, Rags2 Riches artisans magically transform the materials into modern eco-friendly products. Aside from having a stable income, artisans get to have their own passbooks with CARD bank. In addition, there’s a savings program that allows them to get 20% additional income that goes directly to their savings. While artisans get to provide for their family’s basic needs, they also get to save money for the rainy days. Rags2 Riches has collaborated with renowned designers such as Rajo Laurel, Oliver Tolentino, Amina Aranaz-Alunan, and soon Kenneth Cobonpue. Their tie up with these famous artists has certainly raised the value of their products. Moreover, several award-giving bodies have recognized the positive impact Rags2 Riches brought to local Filipino communities.